Idealists of the zodiac, you can count on Pisces people to keep you up to date with all that is new. They aim high and usually achieve their goals through determination and perseverance, but don’t forget where they started from. It seems that you Pisces are going to show an innate interest on your health and wellbeing in this period so this will come just in hand to have an assessment of your situation. You can also read this Pisces Daily Horoscope. The natives born between February 19 and March 20 are for a good reason known as the creators of the zodiac. They are enthusiastic and independent learners but also very creative people in different fields of activity. Some other Pisces traits include a great sense of independence and sensitivity. Pisces appreciate being surrounded by talented people and taking time to step aside and notice the human nature in action. They are fascinated by all arts and artists and people with an elegant behavior. On the other hand, people born in Pisces hate rudeness and avarice more than anything in the world. They avoid inconsiderate people, criticism and conflict. It is quite difficult to handle Pisces, as they are sensible visionaries hard to understand and manage. The planet Neptune influences them towards dream, relaxation and philosophy. Being a water sign, Pisces is changeable, adaptable and deep. This zodiac sign is ruled by the twelfth house, the symbol of end and renewal, final and regeneration. A true Pisces enjoys and seeks artsy activities where they are requires to reveal their so many otherwise hidden talents. Pisces positive traits: These people are romantic and generous and are the most receptive and idealistic people one can meet. They are very good natured and have a deep understanding of life, although these characteristics get revealed later in their lives. The most important strength of Pisces is represented by the fact they are some other Pisces qualities are enthusiasm, wit and gentleness as well as optimism. These people are not only witty and generous but also very original and are a great asset for their communities and some even end up changing lives if they meet someone wise enough to bring their ideals down to earth and put things in motion. A successful Pisces knows how to make use of their innovative and idealistic natures to bring progress around them. Pisces negative traits: One of the things Pisces need to learn is to not over rely on intuition and to consider every important decision they have to make in life with a clear mind. They are credulous, lazy and weak willed. Sometimes they tend to act pretty childish and therefore risk driving away serious and dependable people. They are prone to negative behaviors such as lack of initiative due to recurrent feelings of self depreciation at the slightest sign that things don’t go the way they want them to. Pisces weaknesses include moodiness and self pity and. They are sometimes indecisive and are prone to become victims of their ideals and of their overly trusting nature. But the one weakness most Pisces fight against is being prone to gloom and melancholy as they to combine moments when they are feeling pessimistic with moments of introspection and of course nothing good will come out of this habit. Versatile and enthusiastic as a partner, you are not going to get bored next to a Pisces. Also, they won’t allow you to forget any of their developing feelings. They actually find it satisfying to describe the changes they experience and are drawn to the mystic side of life. If you don’t believe in serendipity by now, just allow a bit more time with them and you will. They love dating and meeting new and exciting persons but when it comes to commitment they avoid any kind of attachment. The fact that they need convincing is an understatement. At the same time, some things can be that simple that one can conquer the heart of Pisces just by keeping up with them. Action driven Pisces lovers are attracted to mysterious, sensual and energetic persons who can keep up with their crazy lifestyle. However, keep note that even these wonderers can be struck by love so when they finally settle with someone they are turn into the most romantic and loving of all partners. Spiritual and passionate Pisces is attracted to the other two water signs: Cancer and Scorpio. The first has the same intuitive tendencies and is just as oriented towards creating different things whilst the second maintains their need for mystery and unpredictability. Pisces is most compatible with those, who, just like them, are in permanent search for novelty and experience. They rarely settle but when they do, their many expectations for a perfect relationship arise and demand to be met as soon as possible. A zodiac sign who offers just this and extra stability and indulges all their desires, would be Taurus. 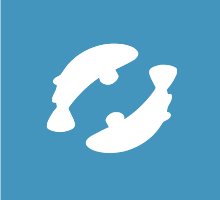 On the other hand, Pisces people seem to be least compatible with Aquarians as they tend to clash when it comes to plans for the future and their relationship with friends. Of course, those born in Pisces display different particularities when in contact with the other eleven zodiac signs and each of these combinations is worth to be discussed separately. Their general health is quite good as this matter has always presented great interest for Pisces people and they know how to take care of themselves. They tend to worry for any little scratch but overall they acknowledge the need to keep their minds and bodies healthy and prefer to let worries for real and not imaginary situations. The Pisces zodiac sign rules the blood circulation, muscles of the legs and feet. This means that they are more prone than other signs to suffer from injuries that concern movement and blood circulation. Pisces people manage to combine their visionary activities with a humanitarian approach, therefore changing the world around them step by step. They most likely thrive in a flexible and enterprising environment that challenges and helps them show how amazingly creative and innovative they are. Their professional life seems to be coming second place unless it’s about following their dreams, in which case, they are able to dedicate their whole time to one activity. They don’t need or expect material gain to feel valuable and appreciated and are often most productive when surrounded by a lot of people. Creating a family comes after their own accomplishments for the dreamy Pisces. These natives will always be children at heart and they are not very keen to accommodate their own family. The Pisces individual is innovative therefore does not put a high price on traditional values and instead tries to build his own principles. Pisces children are full of imagination and quite talkative. Pisces teenagers, on the other hand, are adventurous and hard to manage but they succeed to overcome the difficult phases all by themselves. In a nutshell, Pisces don’t feel any need to sacrifice their own desires in order to go on the family path but as soon as love strikes them, they are sure to follow. A Pisces friend is caring and affectionate and will often go out of their way to help a friend in need. These are one of the most loyal friends someone can have. Friends are like family for them and sometimes they act quite naive and can be easily disappointed. Pisces people tend to form strong and positive friendships at a young age and will follow through with them in life. If not, at a more advanced age, they will seek to re-connect. What you should remember is that with a Pisces friend you can have a lot of fun but also benefit from the support needed at hard times. The Pisces women are mysterious and sensual. They are just as dreamy as every Pisces but they do have something magnetic in the way they act. Miss Pisces always follows her heart, although at times she is mistaken. No worry, she will raise and be more enthusiastic and optimistic than ever. She puts a great price on emotion and on creating a spiritual connection with people. These natives are always expressing how they feel through their hobbies or even through work. The Pisces men are generous but also predatory, just like the duality of their sign. They can be the most caring and affectionate to a person and the most resentful enemy to another. It’s all in their senses and the way they perceive the world. These natives are highly intuitive and spiritual but also sociable and outgoing. These men are charmers with multiple sides to reveal. People born during the period when the Sun goes through the section of Pisces in the zodiac, between February 19th and March 20th, are considered to be in the Pisces zodiac sign. There are three Pisces decans, each with their own influence on the personality of those born during them. Birthday dates ranging from February 19th to February 29th are placed in the first decan that is governed by the planet Neptune. Those born between March 1st and March 10th belong to the second decan that is under the supervision of the Moon. Pisces birth dates ranging from March 11th to March 20th are placed in the third decan that is influenced by the planet Pluto. Click on your birth day in the calendar below to read a complete description of your Pisces personality! Does the information on Pisces Zodiac Sign describe you?